Commercial building built in 2003 with legal living space.... Retail on bottom floor and basement... 3 bedroom/2 bath apartment upstairs. 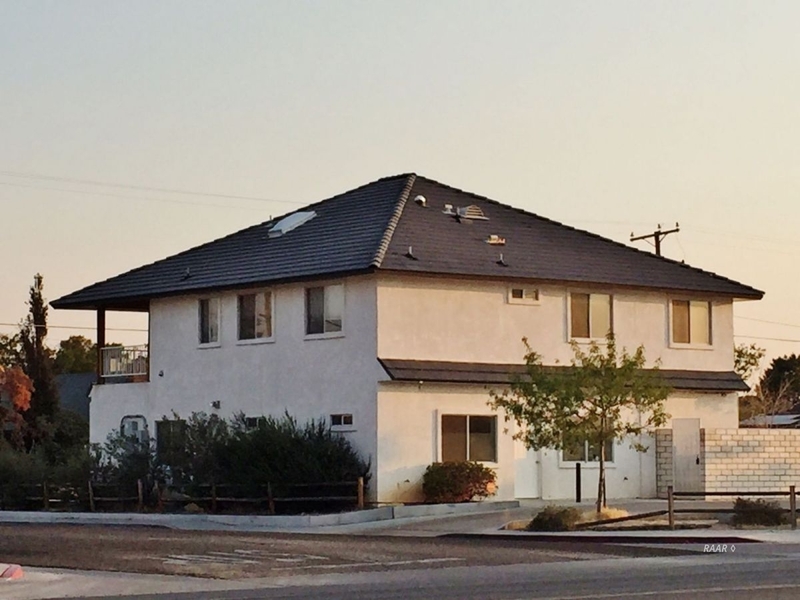 This property, zoned C-2, is on East Ridgecrest Blvd, a major highway that goes thru the City. The first floor consists of retail space (608 sq ft) with a vault (165 sq ft), two offices (335 sq ft), handicapped bathroom and new flooring. The upstairs living quarters are 1500 sq ft...3 bedrooms, large kitchen with new granite, new flooring and a covered deck. The property is zoned C-2 but the City says the upstairs can be legally used as living space. The entire interior has been painted. There is a basement (939 sq ft) and a three car garage (613 sq ft). Parking is in the front and the back of the building. Part of the back yard is block wall fenced with a double gate. The property has A/C, central heat and a tile roof. There is an evaporative cooler for the basement. All this on a visible corner lot!